Because everything that is wonderful has to come to an end. Join us to celebrate the last day of Seeking the Essence. Mark your calendars for a special closing event with a silent auction, sensory activities, book readings and more. Seeking the Essence, by the awarded writer and artist Menena Cottin, is a multisensory and playful exhibition showcasing 18 of her conceptual illustrated fictional characters and philosophical books, displayed in interactive modules and digital formats. The exhibition includes books like the award winning “The Black Book of Colors,” engaging participants on a journey around what it means to “see colors” when you’re blind. Each segment aims to simplify grand concepts of the human spirit, inviting participants to think and question, but within the context of simple texts and minimalist aesthetics. Bidding starts on July 16th. Please see catalogue for pieces here . ALL SALES ARE FINAL: there will be no exchanges or refunds unless otherwise noted. All items are “as is”. PAYMENT: the purchase shall be closed no later than 10 days counted from July 21st 2018, Payment shall be made by (1) Check payable to SaludArte Foundation Inc.; (2) Cash; (4) Credit cards Please note that Credit card, Debit card are subject to 3% charge of respective merchant. PICK UP: SaludArte foundation is not responsible of the delivery of the art. The purchaser must pick up all items at From July 23rd to August 3rd during business hours at SaludArte Foundation/ 2417 North Miami Ave.
Each person bidding assumes all risks and hazards related to the auction and items obtained at the auction. Each bidder agrees to hold harmless from any liability arising indirectly from SaludArte Foundation their elected and appointed officials, members, employees, auctioneers, the auction company and its agents and employees, event organizers, sponsors, and/or volunteers connected with the auction. 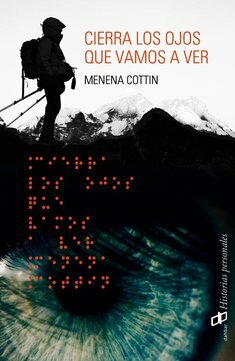 Join us on a special presentation by celebrated author & award winning illustrator Menena Cottin. With beautiful images and compelling anecdotes Menena will share her real story, born from the book The Black Book of Colors that later inspired her book Close Your Eyes that We Will See and how Thomas an imaginary character, changed the life of a real person, Lucero Márquez. We are happy to announce that we are extending our Saturday FamilyDAYS ! !